I’ve always wanted a boot room. 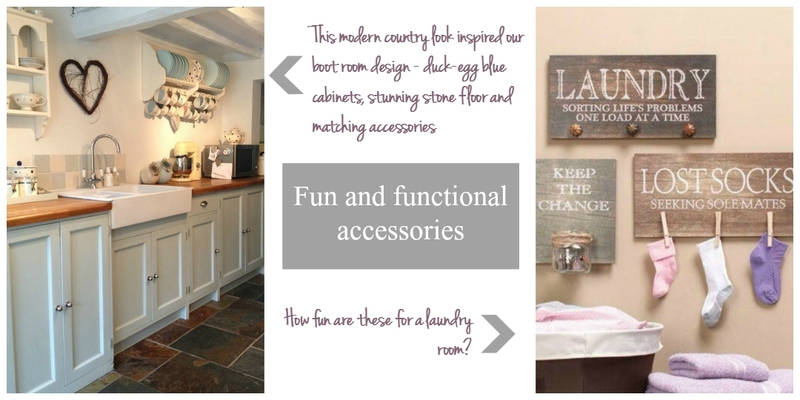 A cross between a utility room and a mud room, if you like, with lots of space to store away all the unattractive cleaning products that clutter up the cupboard under the sink and somewhere to hang outdoor coats and to keep muddy boats and wellies. We’re blessed at The Essex Barn with a laundry room near the bedrooms that came with a washing-machine – perfect as most of the washing comes from the bedrooms – and this left us with the machine we brought from our old house, looking sad and unwanted. 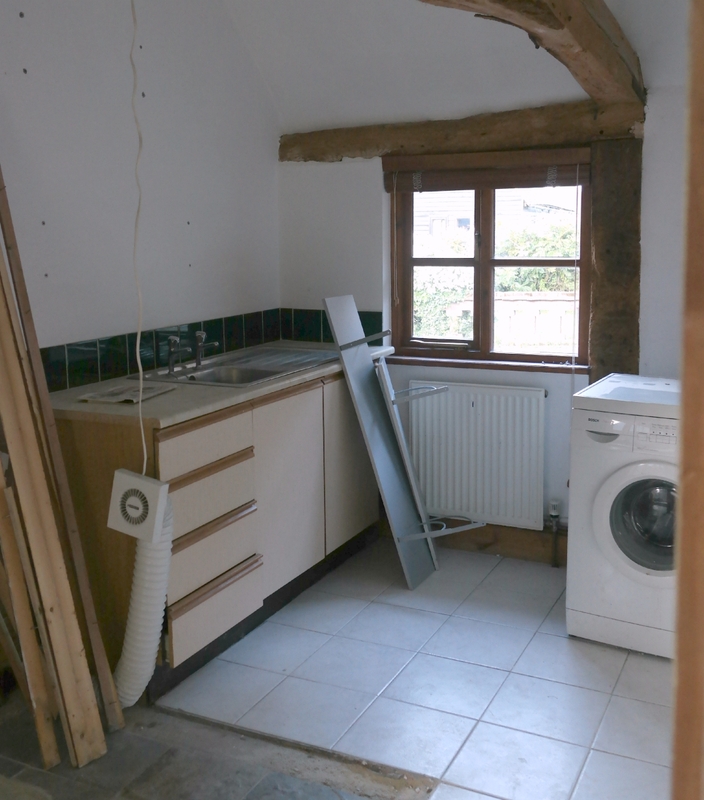 Next to the parlour was a small L-shaped utility room and an even smaller loo that hadn’t been quite finished by the previous owners. We decided to knock the two rooms together to make a home for the second washing machine and create the boot room I’d been dreaming of. 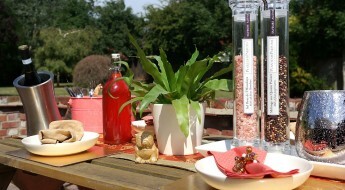 Here’s a shot of the before…! Work is underway already with our building and decorating team from RE Butler and I’ll be sharing our before and after shots as soon as it’s finished. 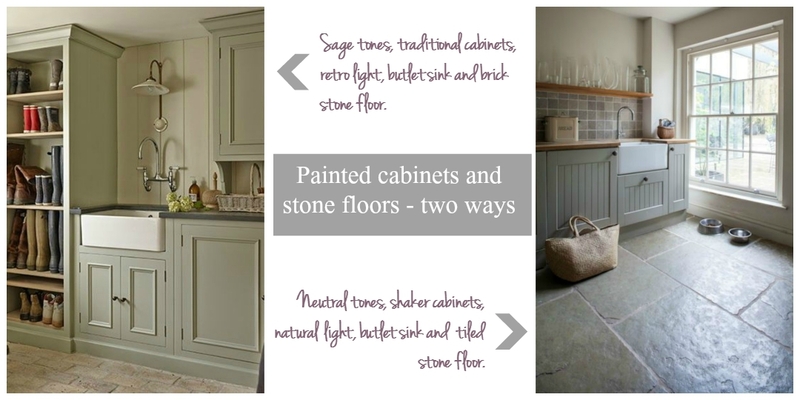 In the meantime here’s my thoughts on how to plan a utility room makeover and some of the ideas I’ve been using as inspiration. What do you want to use the room for? 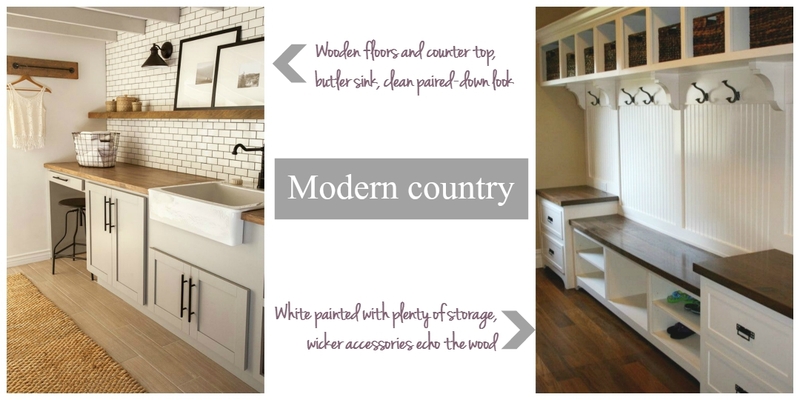 A laundry room is going to have different storage needs to a mud room for example. Plan out exactly that you’re likely to use the room for and use that to inform your design. 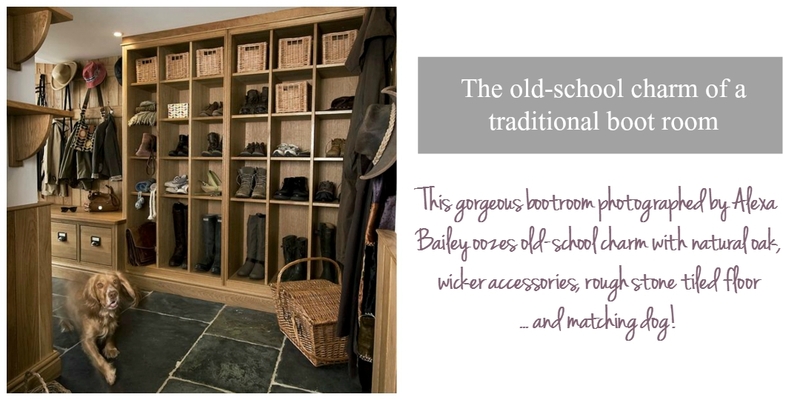 We knew we were going to use our boot room to hang up outside coats and store wellingtons so it was important that we allowed for both full-height storage and a lower rail for the boots. How much space do you have? A large area could be separated into different uses while a small room might need some clever planning to create multi-purpose storage space. 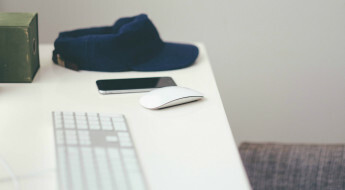 What’s your budget? 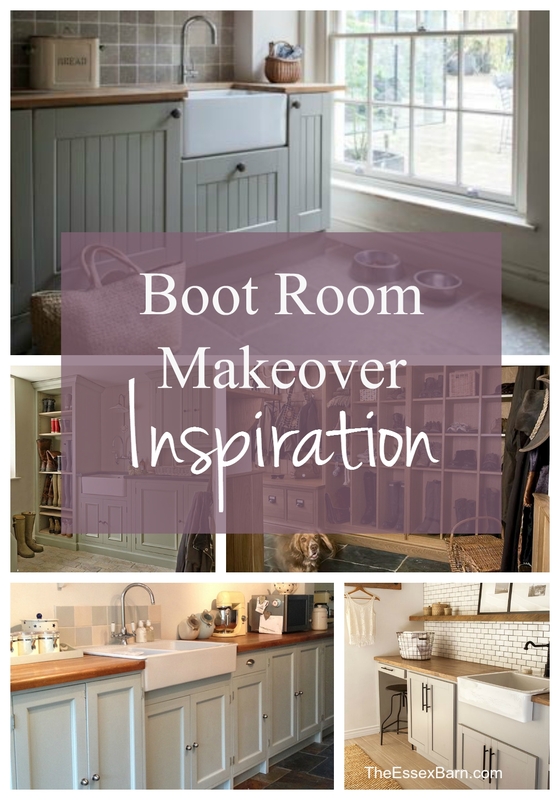 I’ve seen some seriously expensive makeovers for boot rooms which are gorgeous but if you’re doing a makeover on a budget then consider which elements to spend most money on – do you want bespoke cabinets or will painted MDF suffice in preference for a stunning stone floor? 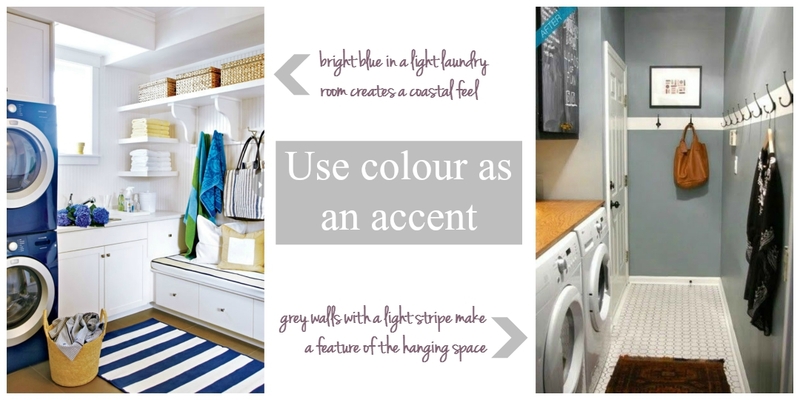 You can do a lot to change a utility room by simply clearing away the clutter with some clever storage and adding a new colour scheme. What do you want the room to feel like? Modern, bright and airy would call for a light scheme and good lighting while a traditional rustic boot room could look great with dark wood accents and wicker accessories. I love the different styles you have shown! Metaphorically sobbing with envy here! That room is bigger than my kitchen! It’s stunning though, you’ve done an amazing job. This is so awesome! I love how you’ve broken it down like this. As you know I’ve recently cleared out our utility room…but since then I’ve become obsessed with a total overhaul and basically starting again. 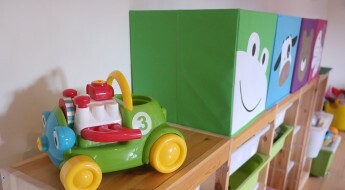 This is a really useful thought process, I’m going to totally use it on our room – I’ll let you knw how we get on! Wow I love those ideas. I am in the process of re-designing our currently cloakroom, its a tiny room that should really just a downstairs loo but the old owners decided to convert it to a ‘utility room’ its tiny just washing machine and drier on top and a whole lot of coats and shoes, so although I am limited to for space I am determined to make it look better then it does now. I would love to have a boot room! Your photos have inspired me, particularly the traditional boot room. Beautiful! I must send this to my sister in law. She wants a boot room in the house they’be just moved into and has a utility room that is beside a loo. Both are in need of a revamp and more creative use of space. The previous owners didn’t do much with them at all. Oh please do Fionnuala and let her know that we had a similar situation and knocked the two rooms together to make one big space… I’ll be posting about the whole makeover project (the duck egg blue shot above is a big clue for what we went with) next month. 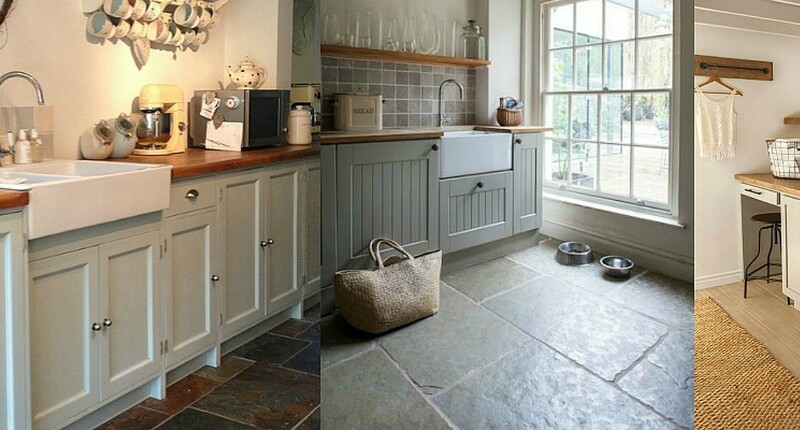 Oh wow I would absolutely love a boot room or a utility for that matter, love the painted cabinets and stone floors.